A recent study published in Nature Ecology and Evolution details a surprising experiment involving tomato plants and Beet Armyworms. 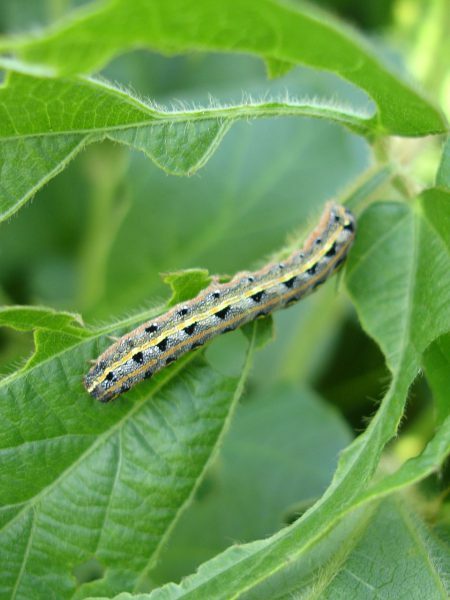 Beet Armyworms are an invasive species of a caterpillar from Southeast Asia that wreaks havoc on a wide variety of vegetation including asparagus, beans, beets, broccoli, cabbage, cauliflower, celery, turnips, and tomatoes. The caterpillars are incredibly detrimental to plants because they feed on foliage and fruit. Recent experiments may have found a solution to the Armyworm problem. Scientists sprayed tomato plants with a concoction of chemicals designed to induce a defensive response. Defense responses are common among plants, for example, coffee and nicotine are both byproducts of plants intended to stave off pests. To the surprise of the scientists, the caterpillars cannibalized before eating plants using the defense response. Perhaps even more fascinating, the plants communicated the defense response amongst themselves until the entire plot was emitting the defense response, including plants that had no interaction with the spray. Continued experiments are necessary for scientists to determine new, less invasive ways to trigger the defense response but this may be the start of a new, very effective, method of controlling pests. This entry was posted in Pesticide and tagged Pesticide Course.